Orthognathic surgery, or corrective jaw surgery, addresses skeletal issues that cause a bad bite. There are instances when orthodontics alone cannot fit a bite issue and jaw corrective surgery is necessary for an ideal result. Orthodontics alone can correct bite problems when only the teeth are involved. Orthognathic surgery may be required for the jaws when repositioning is necessary. To schedule your Corrective Jaw Surgery consultation, call us at Rancho Cucamonga Office Phone Number 909-581-7761! Why do you have a bad bite? Typically, a bad bite is hereditary and is a result of irregular, but normal growth. Sometimes, a patient can have a growth disturbance (from trauma) or a condition that causes excess growth in the jaw bones. The result can be a host of problems that can affect chewing function, speech, long-term oral health and appearance. We know that undergoing surgery is a big decision. We require 2 visits so that we can do our very best to understand your problem and concerns. Before we meet, we would like for you to fill out our orthognathic questionnaire form. The first visit will involve collection of records including a 3D CT scan, impressions for dental models, photographs, clinical measurements and a discussion of goals/expectations of treatment. The records will be studied, analyzed and on the second visit, we will discuss your particular problem, present a treatment plan and discuss the details of surgical treatment. Sometimes, we are even able to offer a prediction of what you would look like after surgery. Dr. Choi uses modern computer techniques and three-dimensional models to show you exactly how your surgery will be approached. Using comprehensive facial x-rays and computer video imaging, we can show you how your bite will be improved and even give you an idea of how you’ll look after surgery. This helps you understand the surgical process and the extent of the treatment prescribed. Our goal is to help you understand the benefits of orthognathic surgery. We also plan your surgery virtually on computer models for the most accurate result. Refer to VSP orthognathics for more detail regarding this exciting new technology. 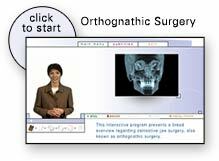 Treatment of orthognathic surgery is often covered under your medical insurance plan. 5 out of 5 stars based on 8 Orthognathic Surgery reviews. Very very satisfied with every aspect of this office. Very helpful, punctual and professional. Dr. Choi is the best!! He is caring and compassionate. My initial appointment occurred on time as did my surgery for the removal of multiple bone at tori in my mouth. I got excellent service from any everyone! No pain, and a quick and easy recovery. I definitely recommend having Dr. Choi perform surgery on you. The care and level of service was first rate. Made the whole procedure so easy. The entire staff was friendly and professional. The office was clean. They didn't waste time. I got scheduled in immediately and was examined, then explained my options. The price for work is fair. I opted to not be put to sleep for the procedure due to my financial situation. Dr. Choi made me comfortable and did my surgery. He also personally did my follow up care phone call a few days later to see that I was o.k. The only thing I can complain about is he couldn't clean up my dirty mouth. I still swear like a sailor. All joking aside I highly recommend this office for your needs, you won't be disappointed. I recently had orthognathic surgery with Dr. Choi. Before that, I also had my wisdom teeth pulled at this office. From beginning to end, my experience has been exceptional. The staff is extremely friendly and helpful. Dr. Choi is very professional, knowledgable and well experienced. I always felt very comfortable in the whole process. All my questions were answered and if I needed anything, the staff was always very helpful. I felt like everyone went above and beyond. I never would have thought having jaw surgery would be such a great experience. Dr. Choi performed jaw surgery on my son. It was a major surgery and I was happily surprised when post-op, I saw only a small, minor stitch on each side of his cheek. I don’t know how he cut both his upper and lower jaws, realigned both and did this all through his mouth, since it seems like there would be little room to maneuver. He was professional from the start, obviously is very skilled, answered my numerous questions and coordinated the treatment with my son’s orthodontist. I know that my son’s orthodontist (who is well-known and also highly skilled), was impressed as well and is keeping Dr. Choi’s contact info for future referrals. Thank you Dr. Choi especially for understanding a mother’s anxiety in this type of situation and not making me feel like an over-the-top pain in the rear mom.